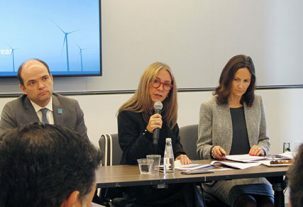 On his first visit to the United States as director of InvestChile, Cristián Rodríguez is holding a series of meetings with key companies and players. His activities include a meeting with the new chief economist of the World Bank and meetings with representatives of Amazon, Google, Airbnb, PayPal and Alibaba. In New York and Washington, the director of the Foreign Investment Promotion Agency (InvestChile), Cristián Rodríguez Chiffelle has an intense program of activities. The lawyer, who took up his new position at the beginning of the month, has made contact with over 15 companies and institutions in that country, seeking not only to promote Chile as a destination for investment but also to involve the agency in the debate about the Fourth Industrial Revolution. 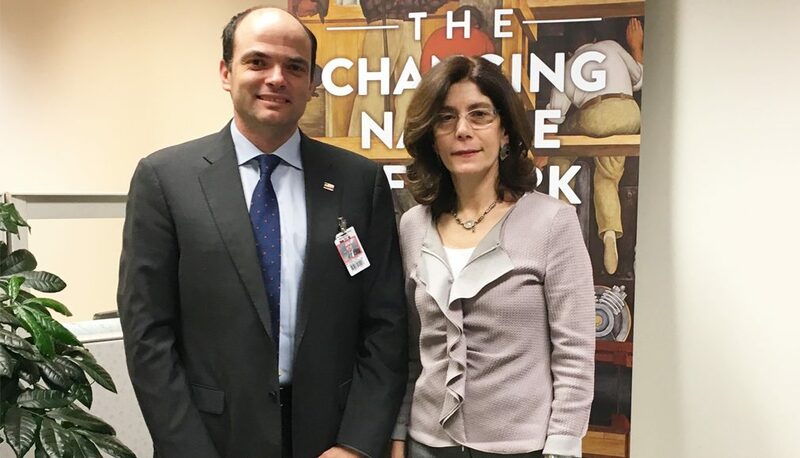 Rodríguez met with the new chief economist of the World Bank, Pinelopi Koujianou Goldberg, who replaced Paul Romer, winner of the Nobel Prize in Economics. 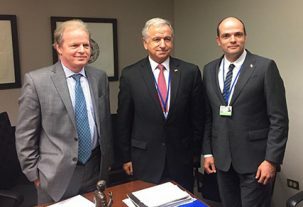 At the meeting, Rodríguez and Golberg explored the possibility of collaboration between InvestChile and the World Bank, particularly in the development of tools for measuring Chile’s investment environment, as well as the option of supporting measurements such as the Doing Business ranking, which the World Bank prepares each year to compare ease of doing business across the world’s economies. This morning, the director of InvestChile spoke about Chile’s experience in investment promotion at the Inter-American Development Bank (IDB) during the conference “Foreign Direct Investment as a Driver of Economic Growth”, together with other leaders of the region’s public and private sectors. Rodríguez will hold meetings with senior executives of companies such as Amazon, Google, Airbnb, Alibaba and PayPal, with whom he will discuss Chile’s investment climate and the opportunities it offers in the context of the Fourth Industrial Revolution. In addition, he will meet representatives of universities and research centers and the editor of the influential weekly The Economist. “Until three weeks ago, I was Head of International Trade and Investment Policy at the World Economic Forum in Geneva. My decision to take on this new challenge has to do with contributing a global and international vision to the development of a modern agency that speaks the language of investors. 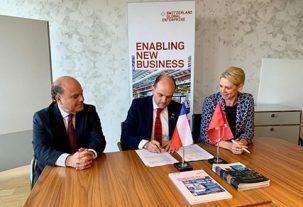 That is why we are here today in the United States, integrating Chile into the debate about the investment opportunities offered by the Fourth Industrial Revolution,” said Rodriguez. This year, Chile has been the protagonist of a series of investments in the technology area. Google announced an investment of US$140 million to triple the size of its Data Center in the country, the only one it has in South America, while other companies such as Amazon Web Services, Nisum and Equifax are expanding their operations in the country. 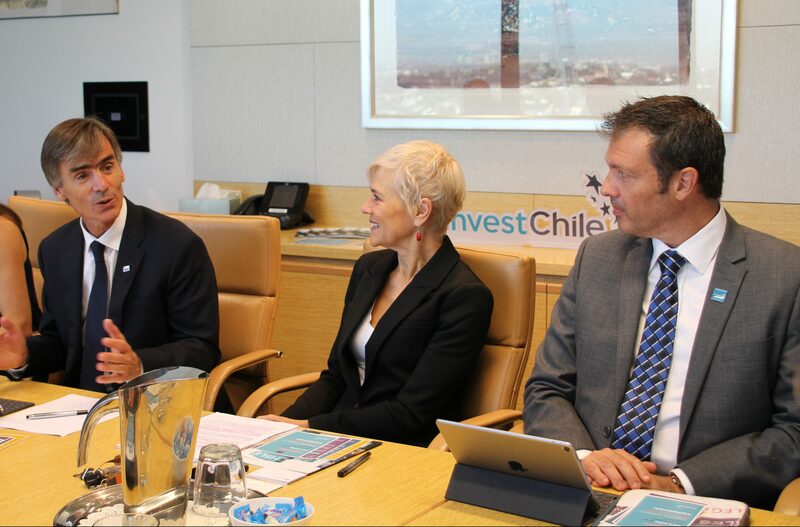 InvestChile has a portfolio of 60 projects in the sector, representing a potential investment of US$1,922 million and the creation of 2,976 new jobs. 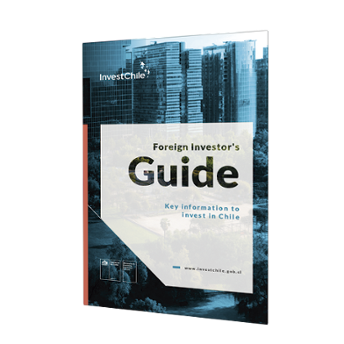 The United States is Chile’s main source of foreign investment, with a stock of investment that reached US$32,266 million in 2017, according to the Central Bank, equivalent to 27.3% of total investment in the country.